Need a fabulous gift for your kid? Here is a great list of gift ideas with wheels, a sure parent win!! I did not include bikes on this list since most kids have a bike. 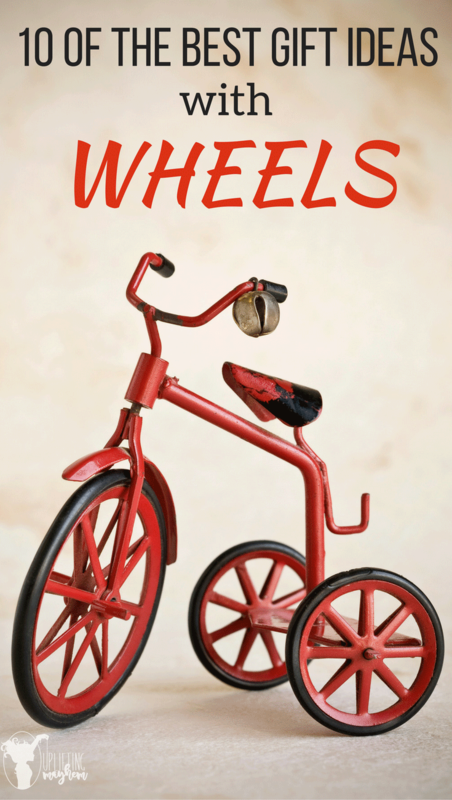 This post focuses on a lot of other options with wheels that your kids will LOVE!! Of the items listed we either have it or our neighbors have them! They are fun and last a long time! Here you go…..in no particular order! When my oldest was 7, he saw my husbands ripstick hanging on the wall. I pulled it down for him and he practiced everyday until he got it. Now he is a better rider than my husband! Its fun to watch them accomplish something that is hard. We just got this for my sons birthday. It is awesome and my boys fight over it! They sit on it and wiggle their feet back and forth to make it go! It is a fun one! We have a couple neighbors who have this. My boys love riding them. These things are close to indestructible as well. My boys spend hours wiggling on these things! Make sure you have play shoes on though! They will rub the toes right off of your shoes if they drag their feet! These riders are pretty fun! You can do 360’s in these things! My boys want them so bad, but it is one we haven’t caved into getting! For now they use their friends!! My boys saved up money to buy these. It’s a great classic scooter to get from here to there! If you want your toddler to learn how to ride a bike without training wheels, this is the bike to get! I LOVE THIS THING!! It teaches balance at such a young age! 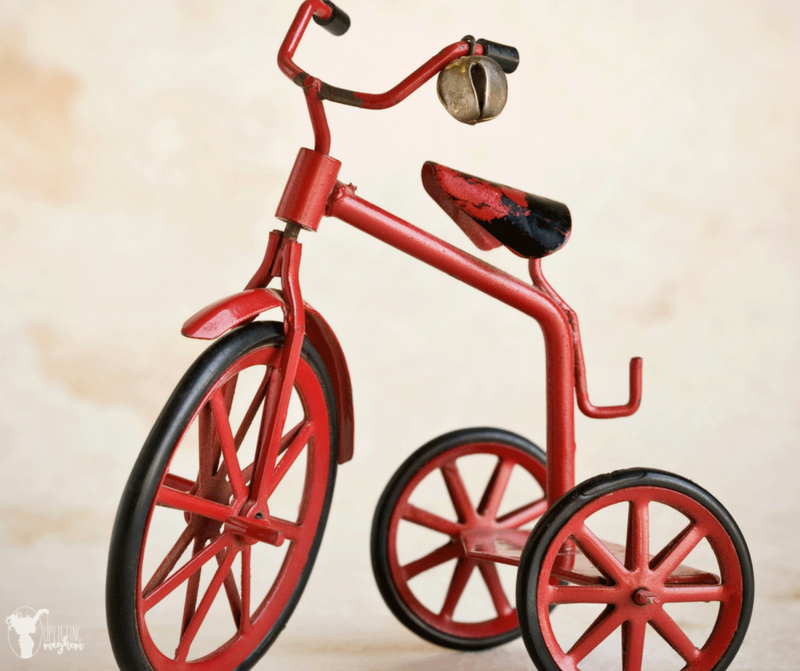 My son was riding a bike without training wheels when he was 3 because of this bike! This scooter is larger and more durable than the Classic Razor Scooter above. My husband bought one when he was younger at a DI. MY SON STILL USES IT!! That is how durable they are. Seriously!! They both love it! It is faster and has a smoother ride. It doesn’t fall when you hit rocks either. If you have a big area that is smooth your kids will love these. My boys spend hours riding down our neighbors driveway with these. They are small, which means less space to store them in. Always a plus. Again, this is one that our neighbor has that my boys want to get. They can slide side to side as you lean back and forth. It s a good scooter to master balance and seems to be more stable than the other scooters! I hope this gift ideas with wheels will help you in your search for the perfect gift. These are gifts you really can’t go wrong with!